This is the first publication of the adaptation of Ibsen’s classic drama as revitalized through the shrewd lens of American drama master Thornton Wilder. With clarifying dialogue, Wilder uproots this classic from Norway and funnels it through an American lens. The marriage of Ibsen’s naturalistic style with Wilder’s knack for emotional nuance creates a demonstrative edition of the revered A Doll’s House. Henrik Ibsen is often referred to as the father of modern realism. He is most well-known for his plays Hedda Gabler, Ghosts, The Master Builder, The Wild Duck, Peer Gynt, and An Enemy of the People. Thornton Wilder is considered to be one of the most accomplished American playwrights and novelists of the twentieth century. He received three Pulitzer Prize Awards for Our Town (1938), The Skin of Our Teeth (1943), and The Bridge of San Luis Rey (1928). His novel The Eighth Day received The National Book Award in 1968. Our Town is the most-produced American play in the world. For over 50 years, Theatre Communications Group (TCG), the national organization for U.S. theatre, has existed to strengthen, nurture and promote the professional not-for-profit theatre. TCG’s constituency has grown from a handful of groundbreaking theatres to nearly 700 Member Theatres and Affiliate organizations and more than 12,000 individuals nationwide. 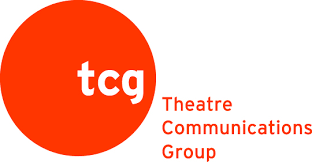 TCG offers its members networking and knowledge-building opportunities through conferences, events, research and communications; awards grants, approximately $2 million per year, to theatre companies and individual artists; advocates on the federal level; and serves as the U.S. Center of the International Theatre Institute, connecting its constituents to the global theatre community. TCG is North America’s largest independent trade publisher of dramatic literature, with 14 Pulitzer Prizes for Best Play on the TCG booklist. 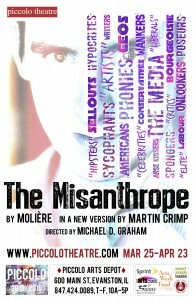 It also publishes the award-winning American Theatre magazine and ARTSEARCH®, the essential source for a career in the arts. In all of its endeavors, TCG seeks to increase the organizational efficiency of its member theatres, cultivate and celebrate the artistic talent and achievements of the field and promote a larger public understanding of, and appreciation for, the theatre. www.tcg.org.